It’s a brave new world of online shopping out there.Every day, more people are using mobile devices and tablets to purchase things from ecommerce stores. How do you make sure that you’re doing everything you can to make the most of your sales and catering to all the various shoppers and their devices? It may seem a bit daunting but with a little research and effort, you’ll be set for any customer using any piece of technology. For starters, it’s good to seek out some demographics. According to Business Insider, Millennials spend the highest percentage of their income through ecommerce stores while Baby Boomers actually spend more money but a lower percentage of their income; since they make more money than Millennials. Almost every group is buying through mobile devices though the amount varies. This should tell you that what’s important to your business:Having a seamless mobile platform that is easy to use and won’t frustrate any customer, no matter their age or comfort with various technologies. If you’re uncertain about what makes a site easy to navigate or if your mobile platform is too hard to use then get some feedback from colleagues and customers. There’s also plenty of information on the internet about what is the best ecommerce website builder and how to build a site on your own that won’t drive potential buyers crazy. You want every device to be able to access and check out of your store with secured purchases so run some tests on phones, tablets, laptops, anything you can think of that people use for online shopping. If you find or get feedback about something that’s not working on the mobile platform, fix it immediately. It is often, though not always, the case that someone shopping on mobile is doing so with what little free time they have in the day and becoming frustrated with a site that doesn’t work correctly can cause them to give up on what they were going to buy. Don’t lose customers over glitches and frustration. Online sales have skyrocketed in the past decade. People like being able to order things from small business that aren’t near them or buying things while they’re waiting for an appointment. The convenience as well as the variety of options is key. More than ever, people want things fast and without fuss so it’s best to keep that in mind, especially if your product is geared towards a younger demographic. A twenty-something knows that they can a similar item somewhere else if you make it too difficult. 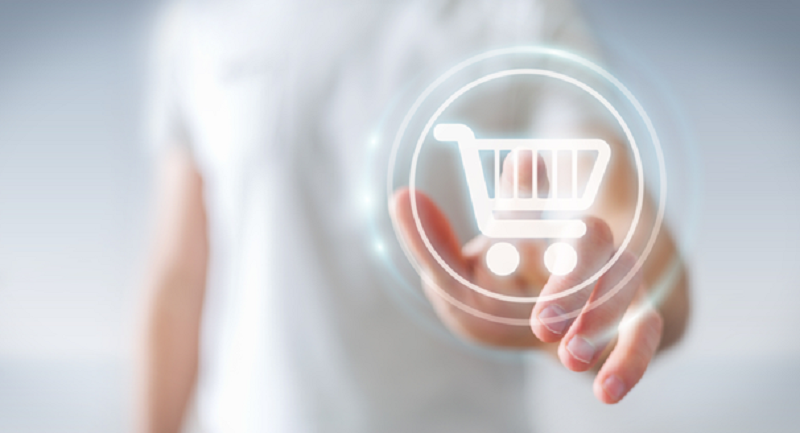 Streamlining the checkout process and allowing people to save their financial information for future ordering can help keep the shopping experience fuss free for customers of any generation. Personal computers such as laptops and desktops are often used for more in-depth research and purchases. If you’re selling items that are more costly, it’s a safe assumption that a certain amount of thought has gone into the process. Larger items tend to not be impulse buys and people looking to make purchases like that might have questions or want further information. If you don’t think you can provide all the information right on your site, especially with mobile, then it’s best to have clear contact information where you can be reached. On a non-mobile site, there is enough room to put a decent amount of information without it looking messy or jumbled while a mobile site may require a bit of pruning so that everything looks a little neater. As an owner and operator of an ecommerce store, you want to take advantage of all the avenues with which customers will try to reach you. As more and more people of all ages start using mobile devices for shopping, it’s imperative to have your mobile platform operating optimally as well as having a clean and professional looking site reached via personal computer. Don’t leave any potential customer out in the cold and grow your business through all channels available to you. Make it easy for them and they’ll be happy to return!